Daylight Savings time is the perfect springboard into power struggles over bedtime and wake up routines because our body clock does not switch as quickly as the clock on our phone. On Sunday, March 11 we spring forward one hour. It is the perfect springboard into power struggles over bedtime and wake up routines because our body clock does not switch as quickly as the clock on our phone. When you put your child to bed at 7:00 PM his body will say, “This was 6:00 PM yesterday. I’m not ready for sleep.” The requests for water, an opportunity to toilet, and the tussle over getting in and out of bed will begin. Monday morning when it is time to wake up he will be dead to the world because his body clock will be telling him he has a full hour before it is time to wake. 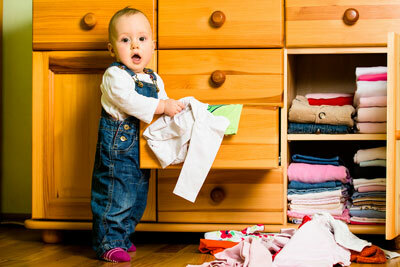 Dragging him out of bed will provide the “spark” for a morning meltdown – not the way you want to start your day. So how do you reduce the chaos caused by springing into daylight savings time? 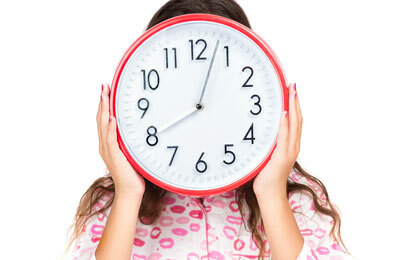 A child’s body clock requires at least a week to adjust to a one-hour time shift. For many children the adjustment actually requires closer to three weeks. The body clock is set by exposure to morning light and regular wake, sleep and meal times. You can help your entire family adjust by beginning days before the official time change, to move nap, bed and wake times (and if possible mealtimes) in fifteen-minute increments. Here are five steps to make that shift less disruptive. 1. Begin Sunday, February 25 by waking your child 15 minutes early. If your child wakes at 7:00 AM, on Sunday, February 25, wake him at 6:45 AM. 2. Tuesday, February 27 shift meals, naps, bedtime and wake time fifteen minutes earlier. Today your child’s wake time will be 6:30 AM. If he was napping 12-2:00 PM he is now napping 11:45-1:45 PM. Wake him if needed. Do not let your child nap fifteen minutes longer. If bedtime was 8:00 PM it is now 7:45 PM. Make outside morning play time a priority. Even if it is cold, bundle up and get outside. Our body clock is set by exposure to light, especially morning light. Reduce exposure to screens and electric lights in the evening. 3. Saturday, March 2 shift bed, nap, wake and meal times another fifteen minutes earlier. Wake time is now 6:15 AM, naptime is 11:30 AM and sleep time is 7:30 PM. 4. Wednesday, March 7 shift bed, nap, wake up and meal times another fifteen minutes earlier. Wake time is now 6:00 AM, naptime is 11:15 AM and sleep time is 7:15 PM. 5. Sunday, March 11 complete the shift. On this day we all will have officially sprung ahead one hour and shifted our clocks accordingly, as a result wake time is back to 7:00 AM according to the clock on the wall. Nap is 12:00 noon and sleep time is 7:00 PM – just as it was before. Thanks to your earlier efforts moving the times in fifteen-minute increments however, instead of losing an entire hour of sleep your child’s body will only have to adjust by fifteen minutes. The sleep deprivation that can fuel those power struggles will be drastically reduced as a result. 6. Monday, March 12 plan to allow your family more time to get out of the house. Even with the proactive steps you have taken, a few extra hugs and a little more help may be needed. Do NOT schedule yourself into any early morning commitments. You’ll be dragging a bit too. Expect in the next few weeks a few more meltdowns as your child’s body clock catches up with the clock on the wall. It may take several weeks, but ultimately everyone will be back in sync. For more information on easing the time change and developing healthy sleep routines for your family, check out Sleepless in America: Is Your Child Misbehaving or Missing Sleep? A peaceful start to the day is priceless. If tears are shed trying to get dressed, shoes on, and into the car the entire rest of the day can feel lousy. You can take steps now to insure that as school begins, morning wars don’t. 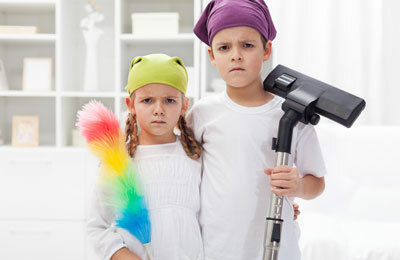 Children, Chores and Conflict: Do They Really have to Go Together? “Pick up your shoes.” “Clean your room.” “Put away your toys.” “Set the table.” Whenever, these directives cross your mind, odds are an internal battle begins. Being cooperative and successful is a combination of having the skill and having the will. Since Andrew has dressed himself in the past and usually does so with little to no prompting when he “can’t dress himself” it’s pretty obvious he’s lacking the will. The question of course is why? We have been using the "time out" discipline method for our spirited 27-month-old. 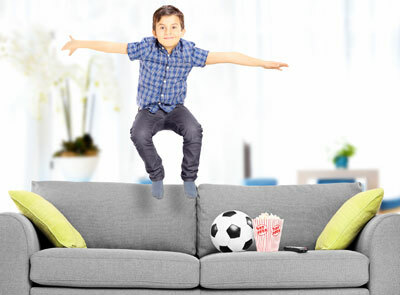 An example is that he loves to jump on our couch, which is obviously dangerous. What's the 'Wild' Behavior All About? My spirited son becomes very hyperactive on the lead up to school and in the first weeks back too. My three-year-old son Nate never simply gets into his car seat. First he has to climb into the front seat and “drive.” Then a toy on the floor will catch his attention and he will insist on checking it out.